Digital clocks are about as dull as it gets—unless you're going for old school Casio hipster appeal. 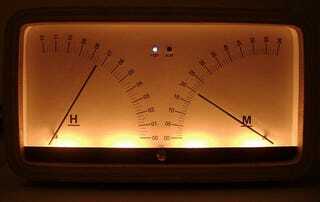 But for those who want something a little more vintage, this analog meter timepiece is a thing of beauty. And homemade!